Preparing and taking advantage of internships are topics often talked about, but when they are discussed it’s usually in regards to internships that take place during the summer. While summer internships are probably the most common type, it’s important to remember that internships during the school year can be just as valuable to your career. That being said it is true that interning during a semester will be harder than during the summer since you have less free time as you juggle classes and activities. 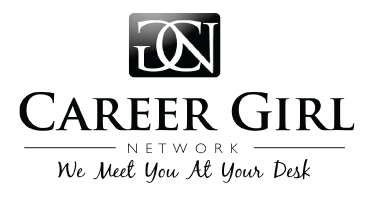 Career Girls need to carefully consider the pros and cons of taking on a school year internship before moving forward, but if you decide to take the leap there are a few steps you can take to make life a bit easier as you balance work, life, and school. Here are five tips for handling an internship during school. Accept help. In order to juggle everything you have to, don’t turn away the aid of your advisers, professors, and friends. Your advisers and professors have probably seen students intern during the year before and might have advice for how to balance classwork and activities with your intern schedule. Your friends can also help you relax and keep you on track when you start to feel overwhelmed with everything you’re doing. Don’t feel ashamed to need help! You’re doing a lot and it’s the smart, strong thing to do to know when you need a little extra aid. Take the time to manage your schedule. Don’t just say yes automatically when your internship asks if you can be available on certain days. Make sure you look at your schedule and arrange it so you have time for everything you need to do. If the internship definitely needs you certain days, then your classes need to make room for that. If you need to take a class for your major and it’s only at a certain time, make your internship work around that. Most internships understand that you’re taking important classes at the same time and will try to accommodate your schedule, so don’t be afraid to take a moment and review everything so it makes sense. Try to intern during at least one weekend day. One way to make room for classes is to make one of your internship days take place on the weekend. Try to work a few hours on Saturday or Sunday, but not both. Leave yourself at least one weekend day to relax and catch up on schoolwork. Make sure you get enough sleep. Since you’ll be balancing a lot, you want to make sure your body is getting enough rest so you can process it all and avoid too much stress. Even if it means not staying up as late as normal or missing out on some parties, it’s very important to make sure you get enough sleep! Get Organized. Perhaps the most important thing you can do is make sure you’re organized. This will help you balance everything you’re doing during the semester from classes to internships to activities. Being organized and knowing when everything is happening and where you have to be will lead to a less stressful time altogether for you.